In Idaho and Wyoming no license is required to drive a boat. In other states, such as Michigan, Utah, Kentucky, Colorado, or Georgia, only boaters age 12 to 16 (or 17, Colorado is 14-15) are required to have a boater’s license. But in the District of Columbia and Connecticut all boaters are required to have taken a boater’s safety course. Some states are following suit and phasing in the same law. For example, by 2016 the state of Virginia will require a Virginia boater’s license for every person operating a motorboat and Washington will require it in 2015. I think this is a positive direction for boating safety. Despite it not being a law in many states, I encourage anyone wanting to drive a boat to consider some avenue to get their sea legs before taking the wheel for the first time. Here are a few suggestions that I have experience with. If you have any questions about them, feel free to email me! 1) Take a course! 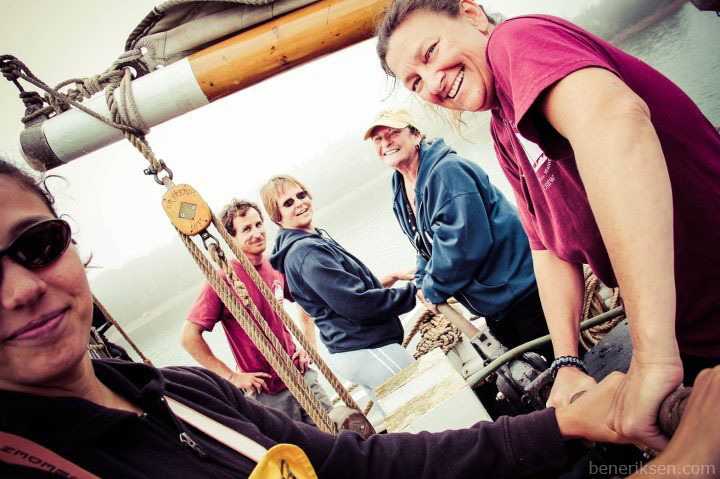 The Hurricane Island Outward Bound School offers excellent sail training expeditions for teens and adults. They are rugged but fun, and a great way to get connected with the ebb and flow of the ocean and really understand what it takes to be a coastal sailor. I have been instructing courses for Outward Bound for eight years and absolutely love it. 2) Take a cruise on a Maine Windjammer. 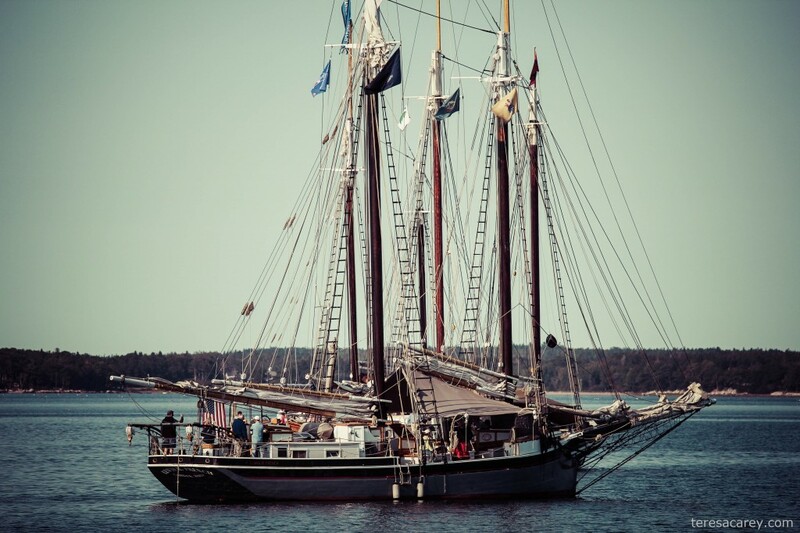 The Maine Windjammer’s Association is a fleet of thirteen tall ships that operate in the islands of mid-coast Maine, the most beautiful place to sail on the East coast. Some Windjammers offer a relaxing cruise, and some offer a more hands-on experience. The Schooner Lewis R French and Mary Day are my top favorites. I sailed with the French last week and this week Ben is aboard the Mary Day. 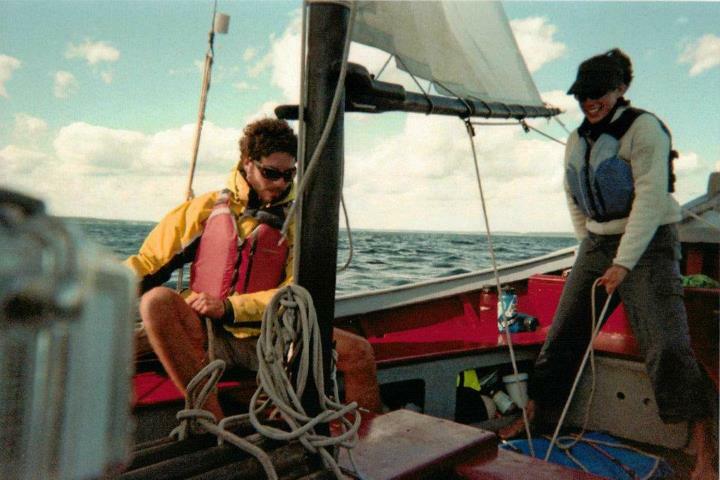 3) There are several organizations that offer standardized courses for various levels of sailing proficiency. Their courses begin with the basics and will progress through more advanced sailing and racing. 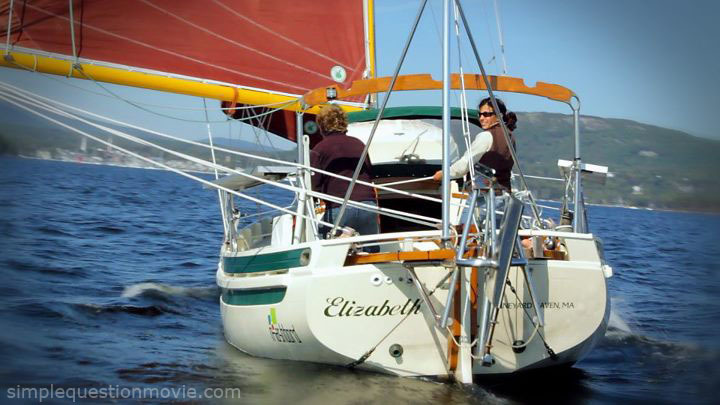 Many people turn to American Sailing Association or US Sailing for courses like these. I was certified to teach these courses fifteen years ago and have experience with both ASA and US Sailing as a student and an educator. 4) If you already own a boat, or plan to charter a boat, then consider hiring a US Coast Guard licensed captain to train you. Look for captains with sail training experience, and a history of sailing in similar waters that you plan to sail, such as offshore, coastal, northern latitudes, southern, or lakes. Ben and I recently began offering our services as captains for boat deliveries and sail training. Please email me if you are interested in seeing our resumes or hearing about what we can offer. What do you think of required boater’s safety education courses? What kind of requirements are expected of sailors in your state? Please share your thoughts below. Or join the conversation on Facebook! In 1976, my first college government class had us write a bill to present to the state capitol, Florida is my home. My bill? Mandatory boater licenses. It was a very detailed document, required proof of training, and a water test. It could have created an entire industry, related to the process. I got back an A+ from my professor, and a laugh from the house of representitives. I was a bit ahead of the wave! Awesome! Great idea. …and thanks for the tip! I’ll blame spell check today! I disagree with the bill. We have enough red tape as it is. I don’t want a new industry to tag along with the hundreds of other regulations that are already there by the Coast Guard, the other Nations we visit. You must not have done a boating adventure. The cost of owning and operating a boat is increased all the time. License and taxes are already a part of a boaters life. I am glad you got a A but I am glad the representatives didn’t try to place your bill into order. As newbie sailors in a state that does not yet require boaters to be licensed, we’re often wondering if the people out on the lake with us know the rules of the road. It’s all well and good to know that we’re the stand on vessel but if the pontoon boat captain approaching at speed doesn’t, our right of way doesn’t mean much. I’d like to add one more learning resource to your list. Although we’ve taken ASA 101 through 103, we get most of our time on the tiller from our community sailing program affiliated with Cornell University. At $500 for unlimited boat use over 5 months, it’s the cheapest way to gain experience. And the staff are continually helping us improve our skills. I started sailing this summer. If I’d had to jump through all these licensing and educational hoops, I’d still be jumping through hoops. Naw, I think these tests are pretty basic. Its like taking a driver’s training course. Everyone has to do it before they drive on the road! The ones I suggested are only suggestions. There are many other ways to get sufficient experience. Hey, I checked out your Outward Bound link and notice they offer free Maine sailing courses for veterans. I think that’s a great way to show thanks to all our vets. Good job OB! Great article Teresa! Knowing how to operate a boat correctly, the rules of the road, how to properly anchor, read navigation markers, etc is incredibly important. People who don’t have this training endanger themselves as well as others on the water. I also completely agree that it’s important to look for certified captains when looking to charter or deliver a boat. I am continuously amazed at how many people run into trouble while at anchor. Your article Don’t Anchor So Close To Me! is a perfect example of this. Whether its because of poor anchoring skills, bad weather, not estimating changes in tide change, etc. I wrote an article about this on my blog called Maritime Safety – Best Practices which contains a checklist I review each time before setting out or turning in for bed. Taking sailing courses is just the tip of the iceberg, but it is an incredibly important first step and I agree it should be required. Absolutely people should be required to have a boaters’ license. Think about this for a moment: In California, you have to take a handgun safety course and get an FBI background check before buying a firearm, but they’ll let any idiot rent a V8 powered speedboat and drive it like a lunatic on Lake Tahoe. Last time I saw people driving a boat recreationally, there was alcohol involved. Last time I went to the rifle range, nobody was drinking. I’m just saying, people are all paranoid about guns, (“oooh, guns kill people, guns are bad”) but you can just as easily kill a boatload of people by driving watercraft poorly. However, if people treated boating like responsible firearm owners treated guns, there would probably be a lot fewer boating accidents. I had to be rescued in the UK for being poorly equiped and poorrly prepared. In short I bought a small cruiser off ebay and had to sail it some 100 her home km round somewhere called Portland bill. The boat was not sea worthy but I was in too much of a rush to get her home and put safety to one side. The forstay snapped and the engine and the engine gear box gave up. I end spending 3 days at sea. Who would want drivers without basic law and safety knowledge on the road? Not to mention competency braking in good distance, changing lanes, entering an expressway and such. I can’t understand why some folks have problems requiring demonstration of basic skills on the water. Keep it simple… it should be OK to learn anywhere, be it a friend or school, and then be tested on paper and then in a boat.